1,000 ice sculptures melted under the Berlin sun as symbols of the effects of climate change, drawing attention to a new WWF report on risks of Arctic warming. 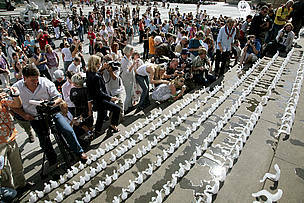 Berlin, Germany: 1,000 ice sculptures melted under the Berlin sun as symbols of the effects of climate change, drawing attention to a new WWF report on risks of Arctic warming. 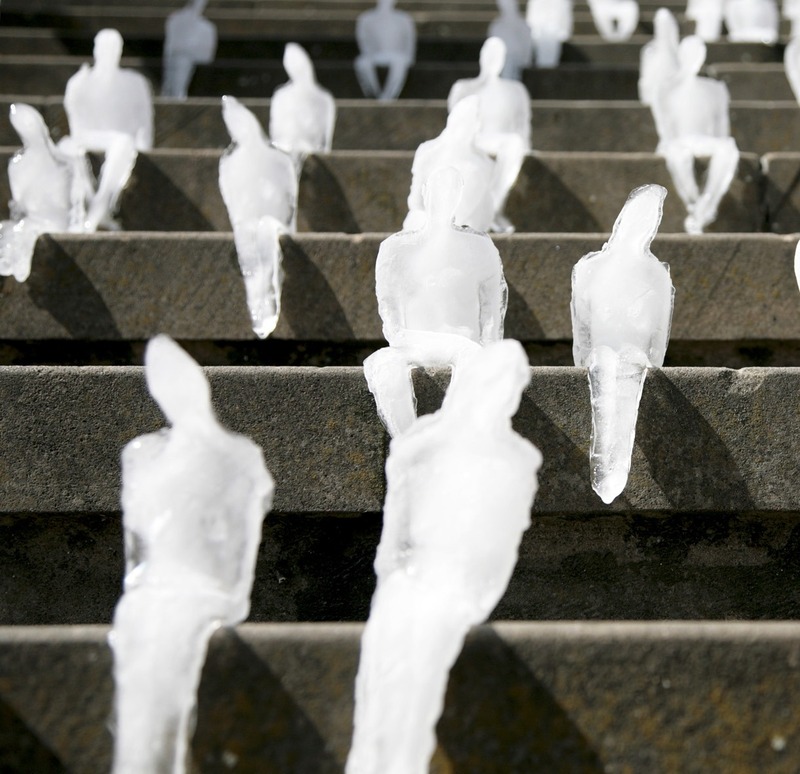 The ice sculptures, handcrafted by Brazilian artist Nele Azevedo, were set up in a public area by WWF Germany to show the direct effect of climate change in the Arctic on the whole planet and the future of humanity and nature. 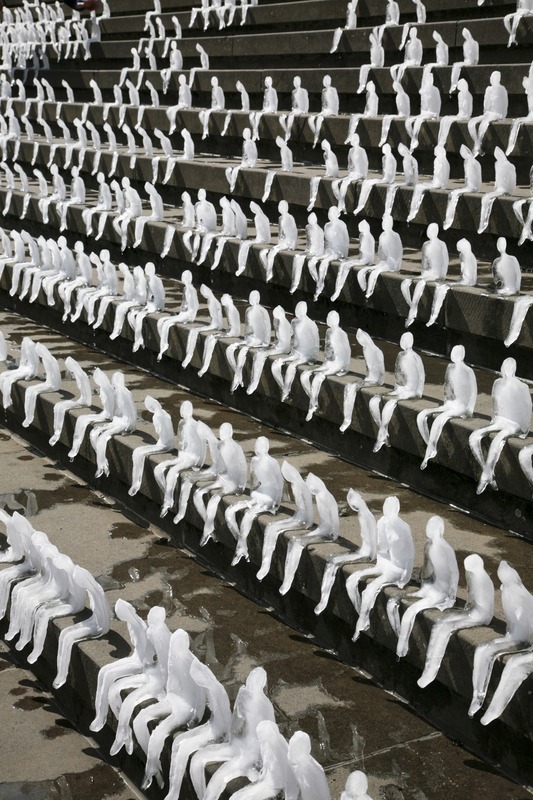 The sculptures began melting in 30 minutes. The action coincided with the release of a major report on Arctic warming by WWF entitled Artic Feedbacks: The Impact on Global Climate Change, highlighting that the consequences of the rapid retreat of ice will not only affect the Artic region but the planet as a whole. Only a few months away from the United Nations Climate change conference in Copenhagen in December, this report goes to show that climate change concerns must be the political priority for the coming months. 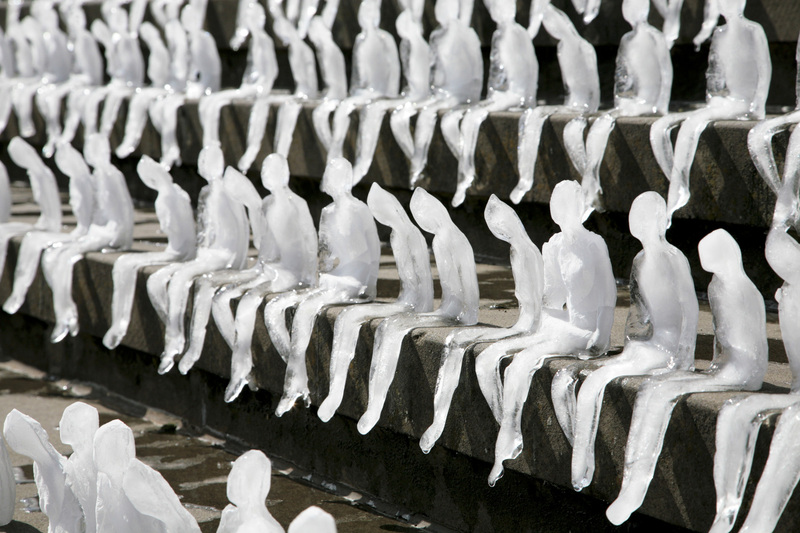 “What happens in the Arctic will have a direct impact on weather in wide parts of the planet. It isn’t local anymore,” said Martin Hiller, head of climate change Campaign at WWF International. Warming in the Arctic could also substantially increase carbon dioxide and methane emissions in the atmosphere as a great quantity of those gases are stored in the Arctic’s frozen soils or wetlands, according to the report. 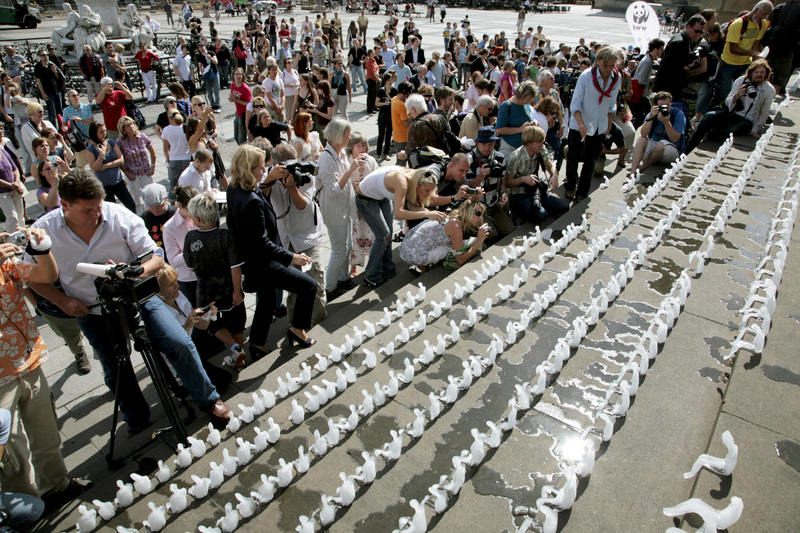 1,000 ice sculptures melt under the Berlin sun as symbols of the effects of climate change.